If you need help understanding the property licensing rules in Lambeth, you have come to the right place! We are experts in housing regulation and have produced this free guide to help you understand the council’s HMO licensing scheme. If you find that you need a licence for your rented property our support doesn’t end there. We can handle the licence application process and give you expert advice and guidance along the way (read here). If you need any assistance you can contact us here. To help set the scene, the London Borough of Lambeth is in South London covering an area of 10 square miles. It is bordered by the boroughs of Wandsworth to the west, Merton, Croydon and Bromley to the south, Southwark to the east and with the River Thames to the north. According to the 2011 Census about 29% of the housing stock was privately rented which is above the London average of 25% (1 in 4). You do not need a licence if you rent your property to a single family as Lambeth Council do not operate a selective licensing scheme. If you rent your property as a House in Multiple Occupation (HMO), the answer is a bit more complicated. Whilst Lambeth Council do not operate an additional licensing scheme, some HMOs do need a licence under the mandatory HMO licensing scheme that applies throughout England. Lambeth Council charges a standard HMO licence fee of £273 per letting room or bedsit (£267 in 2017/18, £250 in 2016/17). So that would be £1,365 (£1,335 in 2017/18, £1,250 in 2016/17) for a three storey shared house with five separate lettings. There is a 20% discount for accredited landlords and a 50% discount for registered charities. 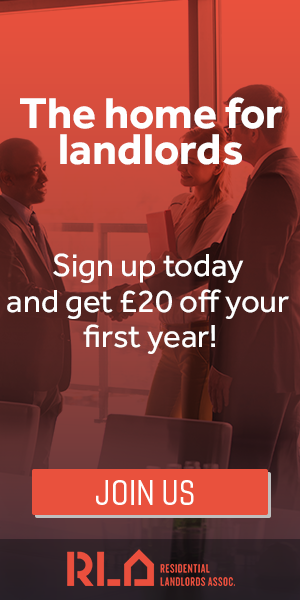 It’s good to see accredited landlords being rewarded in this way and so you may wish to consider joining the London Landlord Accreditation Scheme or another recognised accreditation body. The fees were correct as of January 2019, but could be subject to change in the future. You can view the fees in full on the council’s website. You will need to click on section 2 – How to apply and fees. Unfortunately, there is no online application system - it’s a bit old fashioned! In March 2015 Lambeth Council told us they are developing an online HMO licence application although when we last checked in January 2019 there was still no sign of it on their website. In the meantime, you can download the application form, complete it by hand and post it back to the council. The form and accompanying guidance notes can be downloaded from the council’s website. You will need to click on section 2 – How to apply and fees. Alternatively, you can contact the council and ask them to send you an application pack in the post. It will cut down on your printing costs as the form is 24 pages long. You will need to submit various supporting documents with your application including gas and electrical certificates, fire alarm and emergency lighting test certificates and a floor plan of your property, so make sure you have got all your paperwork ready. Yes, Lambeth Council published a revised set of HMO standards in April 2016. They have separate standards covering shared houses, bedsits, self-contained converted flats and hostels. You can view all the standards on the council’s website. You will need to click on section 2. The standards cover a range of issues such as kitchen, bathroom and toilet facilities, room sizes, fire precautions, heating, lighting and ventilation. In March 2015, Lambeth Council had licensed 359 HMOs. By May 2016, the figure had increased to 416 and by February 2017, it had risen to 444 and by October 2018 it had risen to 468. The council keeps a public register of licensed HMOs that can be viewed on the council’s website. You will need to click on section 5 - HMO Register. It is sometimes a few months out of date and so you may need to contact them direct if you want to view the current version. Possibly. In March 2015, Lambeth Council told us they thought there could be about 600 properties that need a licence under the mandatory HMO licensing scheme. So that suggests there could still be about 150 unlicensed HMOs out there. If you are the landlord of one of those properties, its important you act now and get your property licensed to avoid facing the consequences. Lambeth Council told us they took eight housing prosecutions in the three year period from April 2011 to March 2014, two in 2014/15, eight in 2015/16 and none in 2016/17, so on average three housing prosecutions a year. The council did not obtain any Rent Repayment Orders from the landlords of unlicensed HMOs over the six years from April 2011 to March 2017. However, in 2013 a group of tenants submitted a Rent Repayment Order application after their landlord was prosecuted for operating an unlicensed HMO. The application was successful and the landlord was ordered to pay £7,625.70 to the tenants. This is based on data published by the Courts and Tribunals Judiciary. For all the latest information, you can search for housing prosecutions on the Mayor of London’s ‘Rogue landlord and agent checker’, available here. There are landlord accreditation schemes operated by the London Landlord Accreditation Scheme, the National Landlords Association (NLA) and the Residential Landlords Association (RLA). Whilst we don’t have any figures for the NLA or RLA schemes, we have got information about the London Landlord Accreditation Scheme that is supported by all the London Boroughs. In January 2016, they told us there were 820 accredited landlords in Lambeth, which was the second highest out of all London boroughs. By January 2018, that figure had increased to 1,042, which remains the second highest when compared to all the London boroughs. To find out more about becoming accredited, you can visit the London Landlord Accreditation Scheme website here. Not at the moment, although in March 2015 Lambeth Council told us they were at an early stage of considering evidence that may lead to future proposals. We will continue to monitor the situation and will let you know if we hear any more news. For small HMOs, the rules are a bit more complicated. HMOs occupied and shared by between three and six people fall into planning use class C4 whereas single-family properties fall into planning use class C3. In September 2017, we checked with Lambeth Council and found that there is currently no HMO Article 4 Direction in force and no intention to consult on one in the next 12 months. This means that you do not need planning permission for a change of use from a single-family property (use class C3) to a small HMO shared by three to six unrelated residents (use class C4), although the situation could change in the future. Remember that this is only intended as general advice and no liability can be accepted for any reliance upon information provided. We would strongly encourage you to contact the Council’s Planning Department or seek independent legal advice before you start a new HMO development. Whether you a looking for a letting agent, want a property inventory for a new tenancy or fire risk assessment, we have got it covered – and far more besides! No additional or selective licensing in Lambeth but the mandatory HMO licensing scheme applies borough wide.